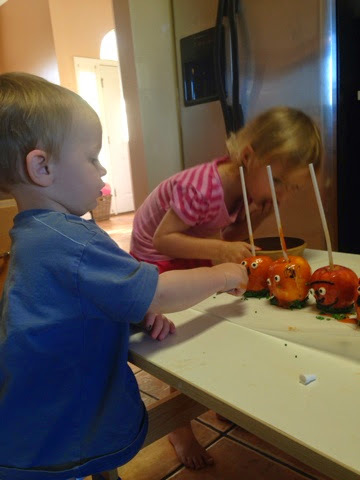 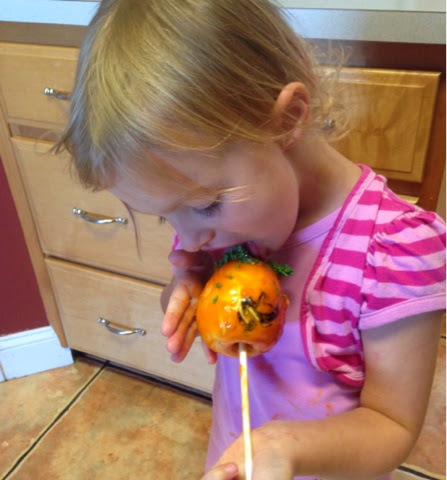 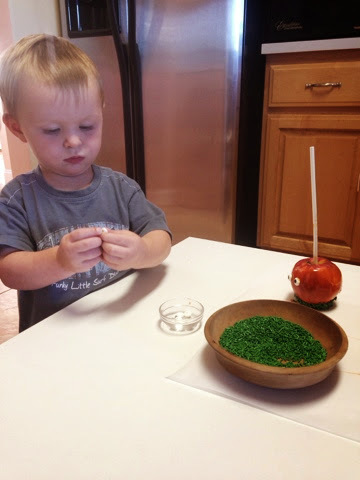 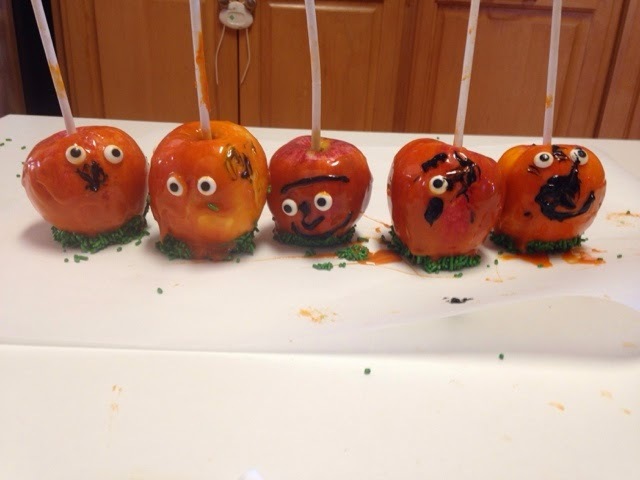 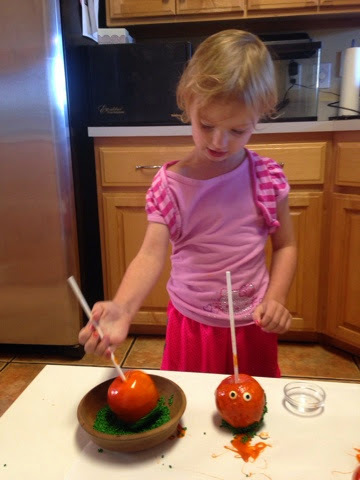 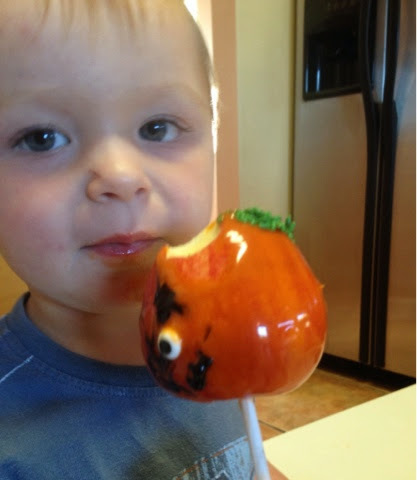 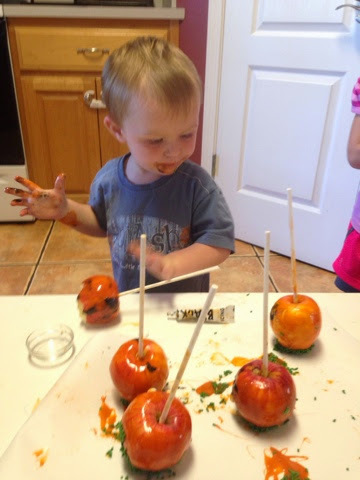 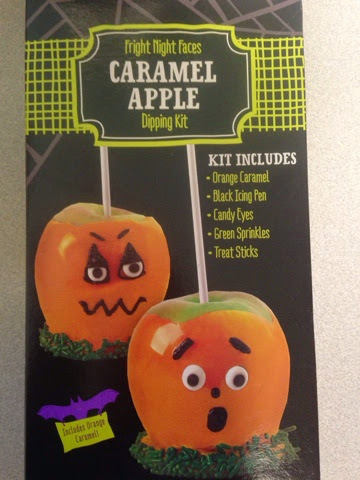 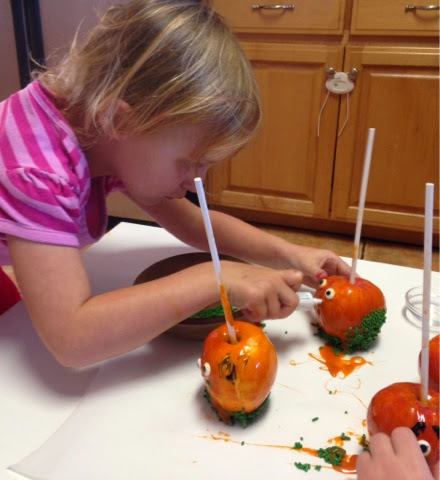 I saw a caramel apple kit at Target today and thought it would be a fun and of course, messy activity for fall. 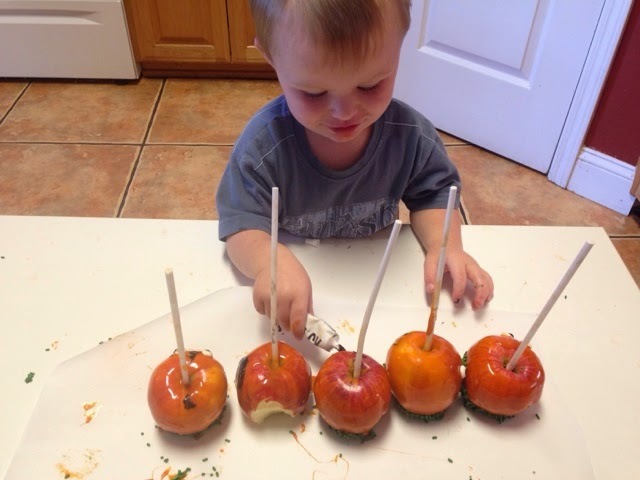 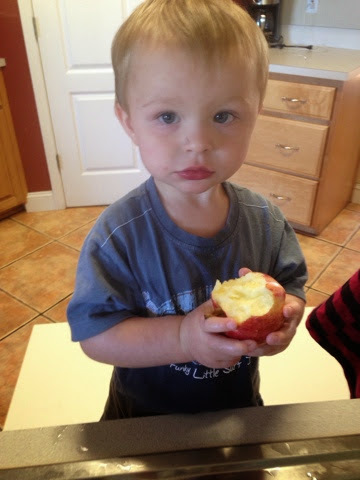 Son loves apples, so he got started eating before I even had the caramel on them. 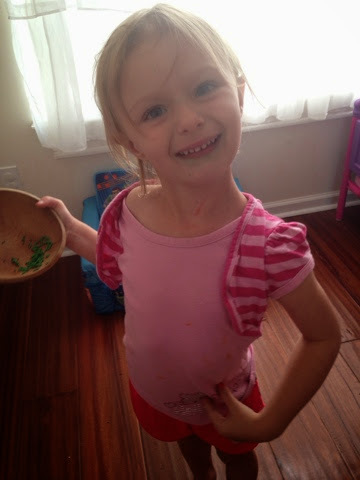 And then I spent an hour cleaning up the mess.